Nestled between two busy highways, the John A. Finch Arboretum is a quiet getaway from the hustle and bustle of Spokane. With only the hum of the highway to distract visitors, this 56 acre park boasts over 600 species of trees and shrubs. The Spokane Indians camped in this area close to the Garden Springs Creek (also known as Howard's Creek) for its water source and close proximity to Spokane Falls. In the 1880s Chinese gardeners used the land along the length of the creek for planting vegetables. Accounts suggest the gardens stretched from the Latah (Hangman) Creek in Stafford Addition/Vinegar Flats to the current Arboretum land. Talking up the new park acquisition, a Spokesman Review article recounted the history of the land where the Arboretum is today. The article mentions the property was owned by Daniel W. Dwight and John A. Finch. Dwight had planned to build a summer cabin there called, "Brookside." Plans for an interurban rail connecting Spokane, Medical Lake, and Cheney were drawn through the property but it was not long until the automobile and the construction of Sunset Highway in 1912 would cause those plans to change. Part of the land was purchased from Dwight and John A. Finch in 1912-1913 including the Garden Springs Park. John W. Duncan, park superintendent, started plans for possible plantings before he left the park service in 1942. Once the Finch trust funds were given to the park in 1947, plans began to take form. A trail for the blind was added in 1972. This 850 foot trail was designed to include the blind in their enjoyment of the arboretum. The Touch and See Nature Trail includes braille signs, a cotton rope to guide, and plants. This trail has been vandalized several times since it was built and most recently has been refurbished by the Girl Scouts in Spokane. There are many varieties of trees and shrubs in the Arboretum but one of the more famous ones is the Dawn Redwood, which comes from the mountains in Western China. Arbor Day Celebrations are held annually in the arboretum to help build awareness and give families the opportunity to plant trees and plants in the arboretum. Images from the Northwest Room, Spokane Public Library, Spokane, WA, Tony and Suzanne Bamonte Collection, Spokane, WA, City of Spokane Parks and Recreation Department, City Hall, Spokane, WA. 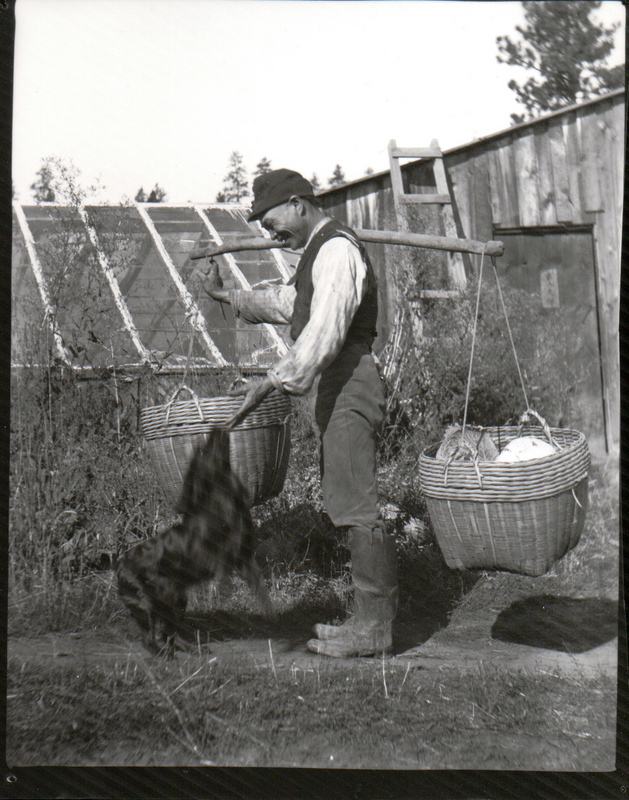 Chinese Man Delivering Produce: Chinese vegetable farmers were a common sight in early Spokane. Image courtesy of the Northwest Room, Spokane Public Library, Spokane, WA. 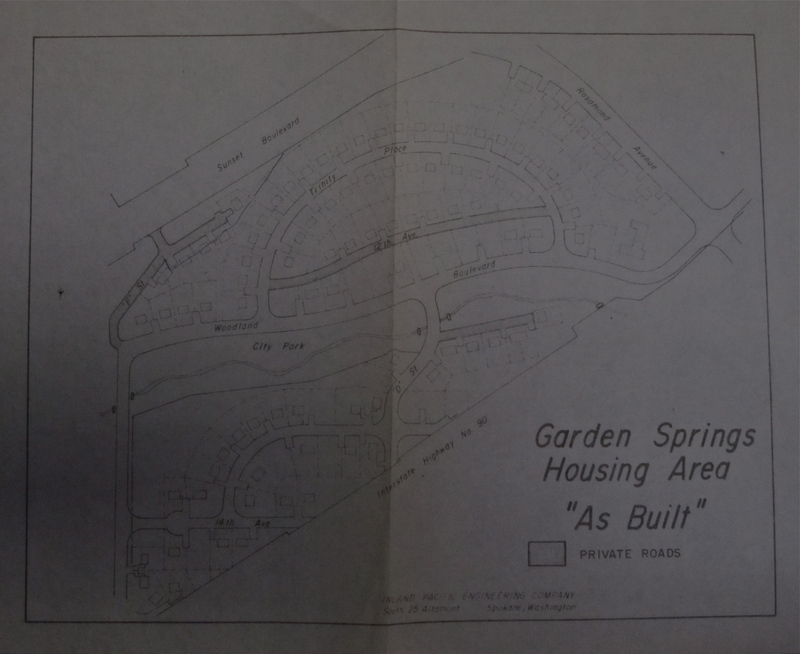 Garden Springs Housing Area: Image from the Spokane Parks and Recreation Department, Spokane City Hall, Spokane, WA. 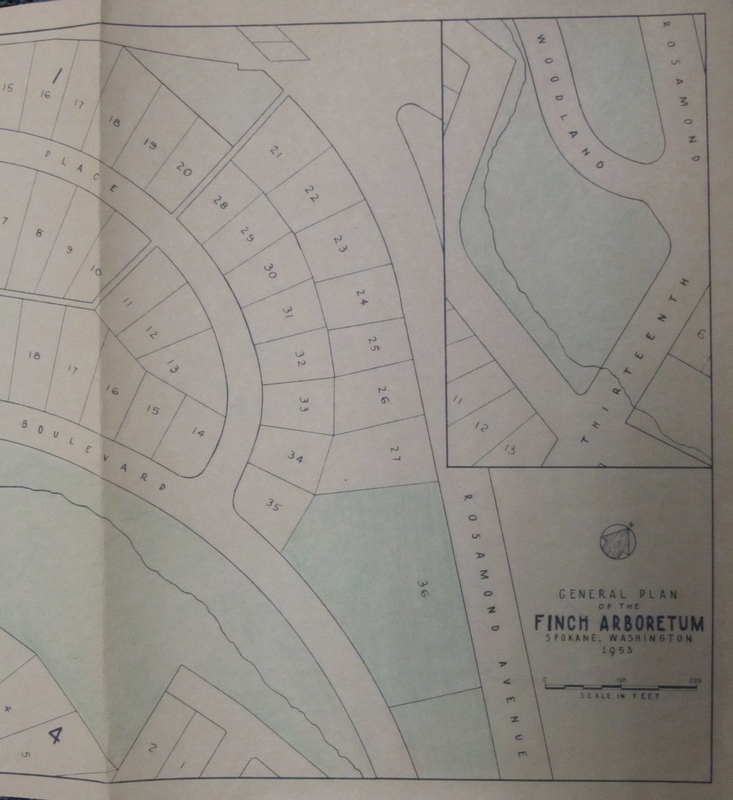 Finch Arboretum Plans circa 1953: Image from the Spokane Parks and Recreation Department, Spokane City Hall, Spokane, WA. Finch Arboretum circa 1951: Image taken by H. T. Abbott, Parks Department, image courtesy of the Northwest Room at the Spokane Public Library, Spokane, WA. 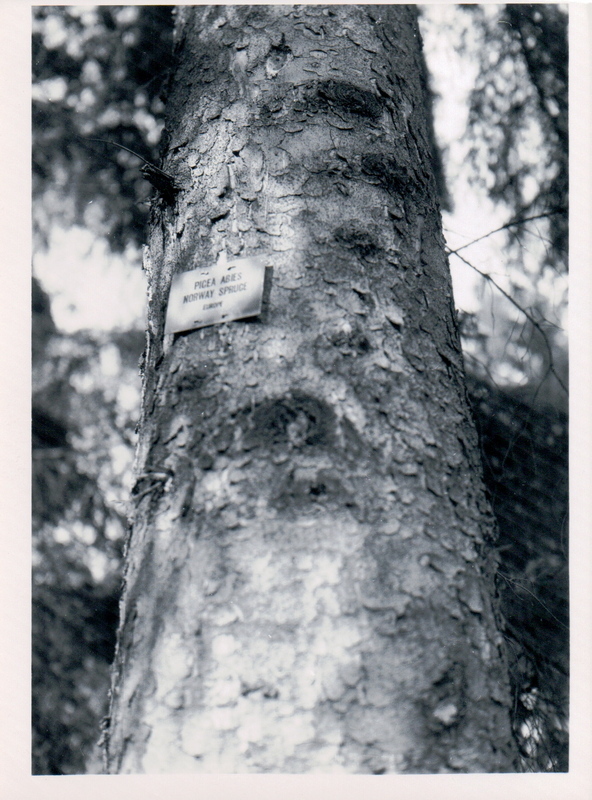 Tree trunk and label circa 1951: Image taken by H.T. Abbott, Parks Department, image courtesy of the Northwest Room, Spokane Public Library, Spokane, WA. 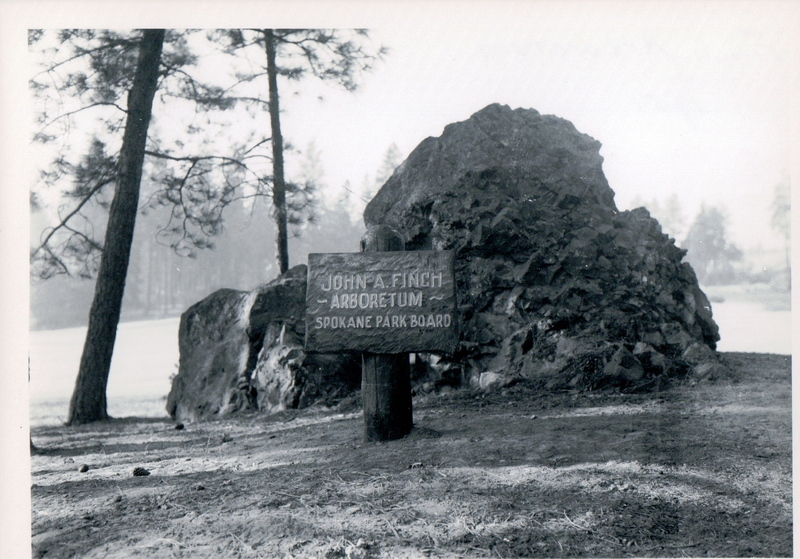 Tracy L. Rebstock, “John A. Finch Arboretum,” Spokane Historical, accessed April 21, 2019, https://spokanehistorical.org/items/show/109. "Major Spokane Asset: the Finch Arboretum...its Setting is a Natural for Sylvan Variety." Spokesman Review, October 11, 1964. Judy Nelson, "The Chinese in Spokane, 1860-1915." Masters Thesis, Eastern Washington University, 1994. John A. Finch Arboretum - Vertical File, Northwest Room, Spokane Public Library; John A. Finch Arboretum - Vertical File, Northwest Museum of Arts and Culture, Spokane, WA; Arboretum File, Spokane Parks and Recreation Department, City Hall, Spokane, WA; Washington State University Master Gardeners Fact Sheet on John A. Finch Arboretum, Laura Arksey, "Gift to fund the establishment of Finch Arboretum (Spokane) is announced on February 9, 1947." 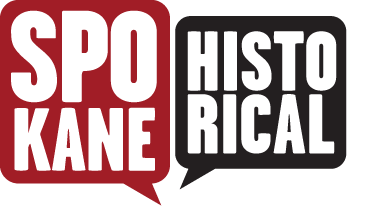 HIstoryLink.org Online Encyclopedia.